What You Should Know Before Converting Your Truck Into A Snowplower? Many areas are affected with heavy snow during the winter. 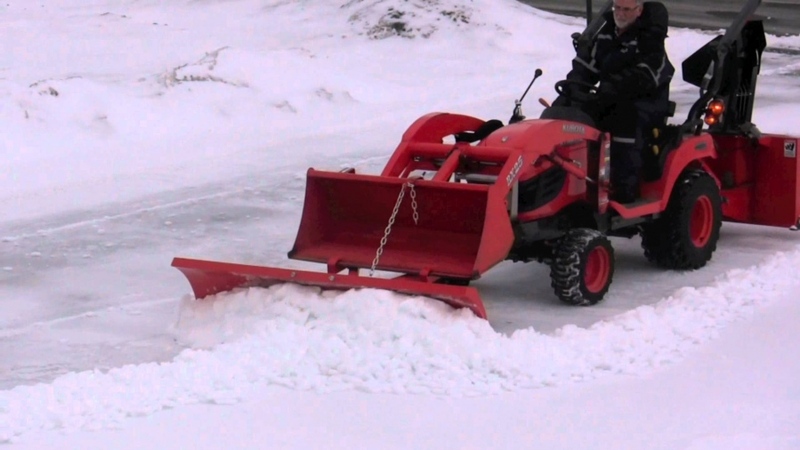 If you have a business, such as hotel, farms and stores, snowplow can be quite essential. Often snowplow can be made by attaching plows on light or medium-sized trucks. However, you will get good results with dedicated snowplower. You should make sure that they will work well for your snow removal purposes. People who live in the Snow Belt will deal much more than light snow. It’s not something that you can clear easily by using shovel and scoop. When the snowfall is heavy enough and happens each day, the shovelling activity can be too gruelling and time consuming. It is the time when you need dedicated a snowplower. Again, many people find that dedicated snowplowers are expensive and they can’t be used for other purposes. In some cases, you should be able to convert a 4×4 truck. However, a brand new 4×4 truck could cause you about $50,000. It means that you should consider converting your existing truck. In order to ensure a proper snowplowing capability, you may need to invest about $5,000 and an extra of $1,000 for tools. When the truck has been proper converted into a functional snowplower, you should ensure that you have the proper plowing capability. It should be worthwhile to learn how to do the proper plowing technique. You will need to talk with actual operators of snowplowers who have done this activity for many years. You may need to delegate this task to some of the employees, because snowplowing could become a daily activity, if heavy snowfall happens each day. Before converting your 4×4 truck into a snowplower, you should make sure that it doesn’t have hidden issues. As an example, your truck may have hidden drive train or frame problems that you don’t know about. New problems can also happen during the snowplowing activity. Large rocks and other objects can be hidden by the thick snow, causing damage to the plower and the truck itself. It means that the road should be cleaned thoroughly before the first snowfall. The snowplower driver should be assigned to drive only at specific routes and if they go outside these routes; your snowplower may hit hidden objects. This will significantly increase the wear and tear of your cars, making breakdowns more likely to happen. The repair bill for the plow and the truck can be quite immense. If you want to operate a snowplower, it is important to make sure that you are mechanically inclined. You should be able to respond to any mechanical issue quickly and unless you are living next door to dependable 24-hour repair shop, then you should start learning some mechanical aspects of your 4×4 truck. You should be aware that dealing with a converted truck may always be easy and in many cases, you need to remove the plow when the winter ends. This is essential because you may need to use the truck for other purposes. How To Drive Safely On Icy Surface?